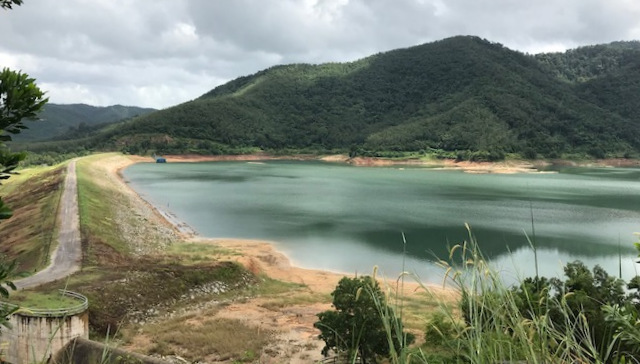 PHUKET: Water levels at Bang Neow Dum reservoir in Srisoonthorn, in central Phuket, are so low that officials are calling for residents to use water sparingly and hope that enough rain falls by the end of December to stave off drastic water-saving measures. 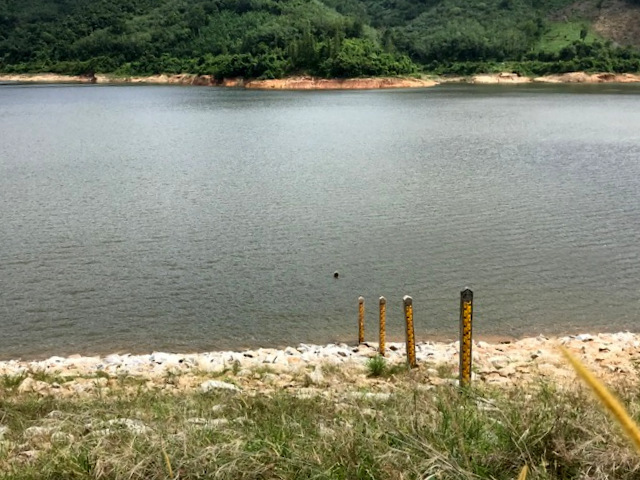 Residents and businesses specifically in the nearby areas, including Srisoonthorn, Baan Manik and Cherng Talay (see map below), are urged to use water sparingly amid concerns that rains will not replenish the reservoir sufficiently before the hot season. 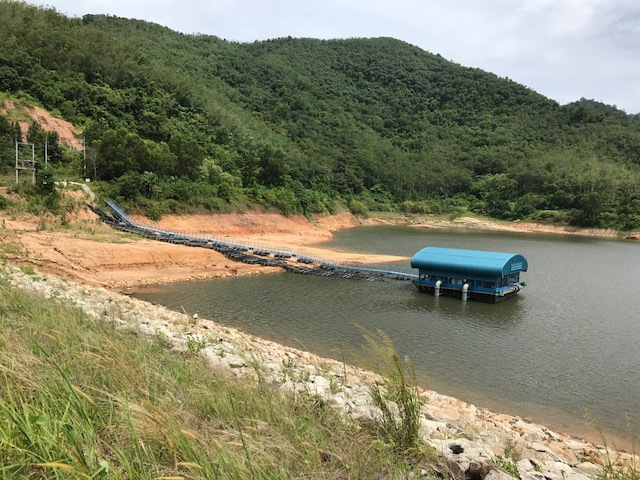 Somsawat Chaisinsod, Director of Phuket Provincial Irrigation Office, explained to The Phuket News this week that the Bang Neow Dum reservoir is currently just less than 45% full. “The reservoir has a capacity is 7.2 million cubic meters, but it currently contains only about 3.25mn cubic meters. Of that, we are able to use only 3.14mn cubic meters as 0.11mn cubic meters of that capacity is useless. It’s just mud, which we can’t use,” he said. 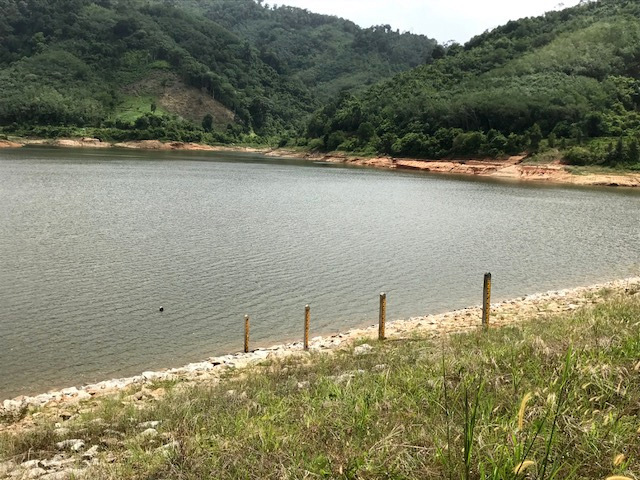 “We need about 5mn cubic meters – or about 70% of the reservoir’s capacity – by the end of December to cope with the demand during the dry season (December-April),” he added. “My advice is for people and businesses in the affected areas to start storing water reserves so they can use it for their own needs in the first few months of 2019. “If the water (in the reservoir) is not enough by December, I will need to raise this issue with all involved officials so we can come up with a plan of what to do,” Mr Somsawat said. The high-ranking officials to be called in for action if need be included Phuket Governor Phakkaphong Tavipatana, the Director of Provincial Water Authority Phuket office, the Phuket Provincial Office of the Department of Disaster Prevention and Mitigation (DDPM-Phuket), and others, Mr Somsawat explained. “Also people must understand that this is about climate change and that we have not had enough rainfall to refill the reservoir. 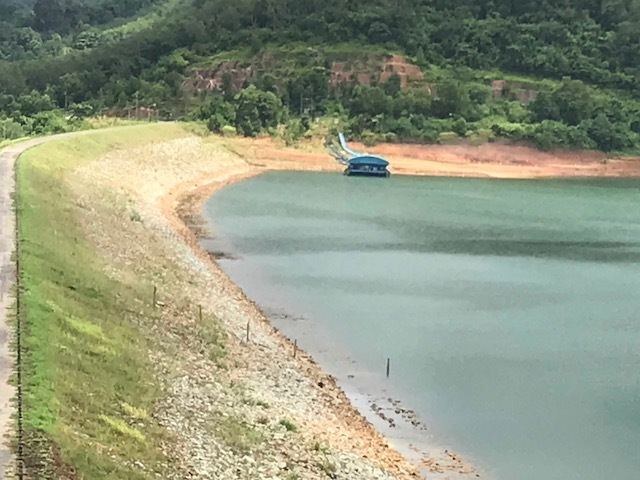 Of the rain that has fallen across Phuket in recent months, little of it has flown into the reservoir,” he said. “We will do our best to make sure there is enough water for everyone until the dry season ends – about May next year. By that time we should have mains water supply to the area supplemented by Bang Wad reservoir,” Mr Somsawat added. ..... and the usual irrelevant drivel provided by Insp K.
It would have to rain every day to maintain levels with those big pumps running. The local water-truck mafia are going to really cash in. "If there is not enough water by December, I will have to raise the issue". Great, the level is dropping a meter per month. Yet expects it to fill 25% or 1.8 million cubic meters by December??? Half the island without water. Soon! I wish they could explain where the water is going. Before the blue barge and pumps, everybody had water and the level was maintained. Where is the water being pumped at such huge volumes? What about the unrelenting development? Why are projects being approved without basic infrastructure? They want trains, shopping malls. How about sewer and water? Reliable electric? Waste management? Been to this dam 2-3 times a week for 10 years. It has rarely overflowed. It has just maintained it's level. Even during the prolonged drought about 6 years ago, no problem. One year ago they installed the blue barge and two giant pumps. The levels have been dropping at least a meter a month. Guy says they need 70% to make it though dry season. Dam is at less than 45% do the math. Too many tourists and local folks take too many showers... that's it! Correct me if I am wrong, but I have personally witnessed an extraordinary amount of rainfall this season.. and it does not see to be finished. How is it this water is not being collected/conserved amply? Oh, and remember, when you expand Phuket airport facilities, unlimited tourist accommodation building, ( more, more, more) but not keep up with incinerator- and water capacity like wise, than Authorities fool themselves. And here you see how the 'jetty stops the ship'. It's over for rich Phuket Province to continue this way of only money making without future reality thinking. Low water levels? September:17 days of rain. October:22 days of rain. November, ( just 18 days old) already 8 days of rain. The flooding warnings flying around our ears the last 3 months. Remember the last Governor, with boots, during May/June, staring several times officially at heavy rain high water level canals? 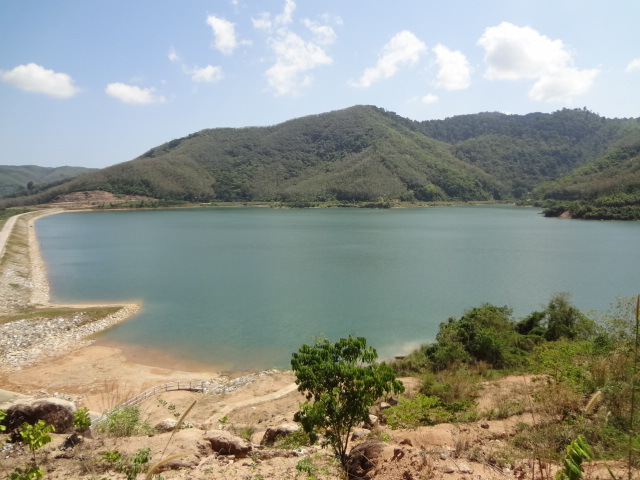 When Thai Phuket Officials become active and guide all this water to reservoirs?